Triple Heart Trinity Locket/Memorial. With over 65 brilliant 1.8mm sparkling CZ stones, this roomy locket has plenty of space to hold two of your most treasured pictures. BECAUSE of all the air holes in this piece you can use it as an aromatherapy diffuser as well. I love the heart in a heart with the heart bail. That makes it a triple heart Trinity. A lot of LOVE and meaning for this one! You get to tell that story yourself. The Trinity is one of the most beloved symbols representing the Father, Son, and Holy Spirit. You can wear it by itself or personalize it with birthstones and initials. What a great way to memorial a loved one, carry your wedding pictures or a picture of any loved one. Because we made it from high quality 316L Stainless Steel the locket part is brilliant. It stays closed! The chain is sold separate. 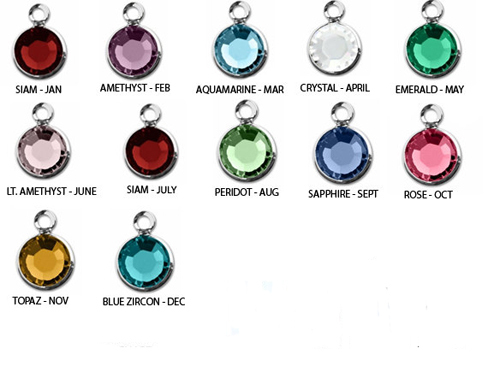 Order your choice of chain, initials and birthstones. - 65 plus 1.8mm clear CZ stones. - The back and around the Trinity are open. This would be brilliant for aromatherapy too. Leave a note for any specific order you may want birthstones and initials. N11-18 (01) 18" box Chain 18"